Oktoberfest Houston is Houston's only beer fest with a German twist, showcasing the best of German and Texas Culture in one fantastic day. Tickets include 12 two ounce beer samples and a mini-stein. 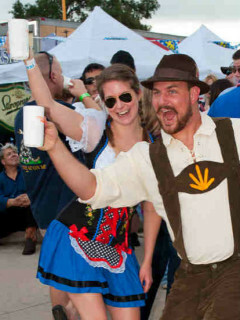 Put on your Lederhosen and Dirndls and enjoy a variety of German beer and the best polka music in Texas, or get your boots and cowboy hats on and enjoy amazing local craft beers and great country music on one of two stages.